The producing team of The Running Waves announced to Dirty Water Media that they will be using local musical giants Crooked Coast in a scene in their upcoming Indy movie. “The movie takes place in 1994 so we plan to use music from the 90’s, but involving a current band like Crooked Coast was a no brainer. Their music captures the feel and lifestyle of Cape Cod like nothing we’ve heard in a long time.” Co-writer and producer Seton Murphy said. 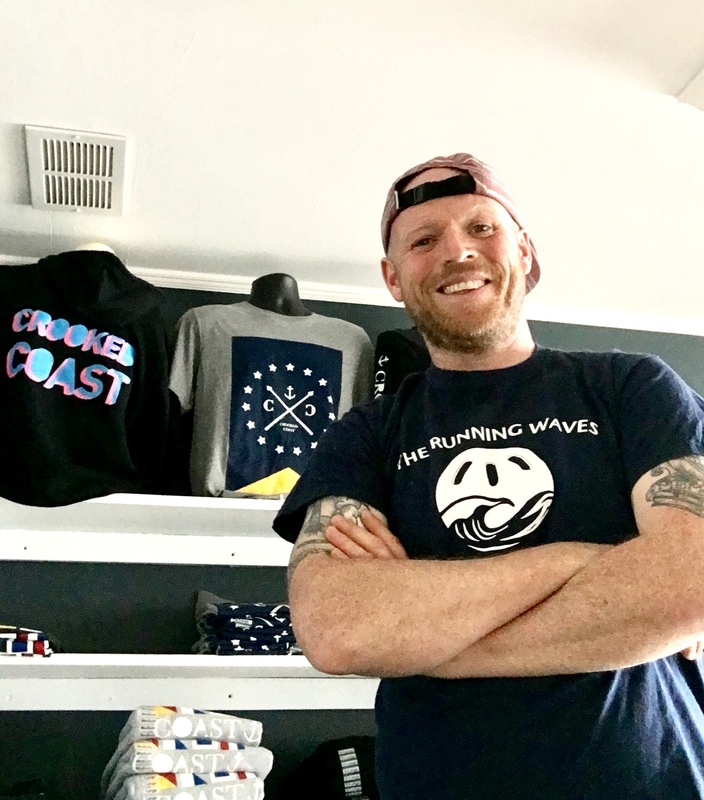 And speaking of lifestyle, Crooked Coast now has their own clothing store and that’s where Dirty Water caught up with one of the band’s frontmen Luke Vose and asked about The Running Waves. “Our goal is to make a movie but also highlight talented Cape Codders so it will be a thrill to showcase Crooked Coast. They’re talented muscians but they’re also good guys. I urge anyone who hasn’t seen one of their live shows to check them out. The other cool element is our friend David Fenstermaker, owner of Grumpy’s Pub has graciously offered his place for the Crooked Coast scene. You see, everyone in Falmouth is coming together for this movie. Falmouth people are solid. We stick together.” Co-writer and Producer T.M. Murphy said smiling while purchasing his new Crooked Coast sweatshirt.